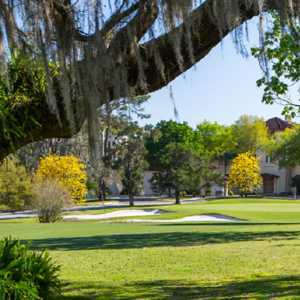 TAMPA, Fla. -- The most historic course in the Tampa Bay area has to be Rogers Park Golf Course. The history and condition of Tampa's Rogers Park Golf Course make it worth an outing. During days of segregation, Rogers Park was the only picnic area available for black residents. It offered swings, slides, a baseball diamond and a large picnic area. And eventually Tampa Mayor Curtis Hixon gave to go-ahead to build a course for blacks only. The nine holer was opened in 1952 under the direction of Head Professional Willie Black. Rogers Park G.C. offered the only chance for African-Americans to play golf in the area, even though they were very visible at Tampa's whites-only courses, serving as caddies and maintenance people. The golf course itself is unspectacular, but any golfer who wants to bring his family to the Busch Gardens amusement park, just a half-mile away and wants to avoid a day of roller coasters, this is a nice way to get away for a day. 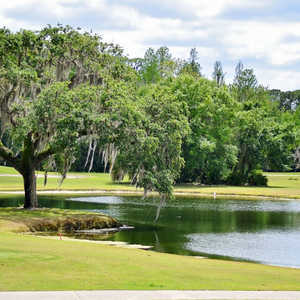 It may not be one of the must-see golf courses in the Tampa Bay area, but its location and history make for an interesting visit. 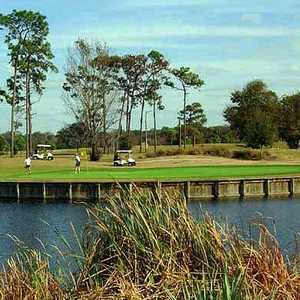 It is also the closest golf course in Tampa to the Tampa International Airport. "Our key word is 'tranquil,'" Head Professional T.J. Heidel said. "You are in the heart of Tampa but there are no houses and lots of wildlife. You are right in the city but it doesn't feel like it." Extended from nine to 18 holes in 1976, the course plays to 6,802 from the tips and is in decent shape for a city-run track. The fairways are in decent shape, maybe not as lush as you might find at some of the high-scale courses close by. But for a municipal course that costs a lot less than some of the big boys in the area, it holds its own. It's also a great starter course for kids, one without a lot of hazards, at least on the front nine. Water comes into play on the back, but only on the 14th, 17th and 18th does it really become a factor. The pin placements though can be tough. Rogers Park doesn't put its pin locations in the center of the green, but usually as close as possible to the fringe. The rough is also a little bit larger than most Florida courses. "It's a fun course to play," Tampa resident Billy Cottos said. "It's tougher than it looks and you don't get to deal with all the trouble around the greens and, you know, they keep this in good shape for a muni." Cottos brought his 10-year-old son, Justin, who has never played any other course. "This is the way for a kid to break in and a good way for a father to show his son he can actually play this game." Cottos, an African-American said. "It isn't an easy course and I want to show him, basically, that other blacks play golf besides Tiger Woods." Rogers Park is home to Tampa's First Tee program, a group that started at Rogers Park in 1991 and has its own office across the driveway from the pro shop. The course itself has little water on the front side, but the toughest hole is the fourth, a 417-yard par 4 that requires a long drive to clear the one creek that crosses the front to a tight green. It is the No. 1 handicap hole on the course and, though the distance isn't long, it takes some guts to clear the creek. The seventh hole, a 437-yard par 4 isn't too long, but the fairway, like most at Rogers Park, is tight and lines with dense rough. The back nine is shorter, but that's where water comes into play. The 14th is a long par 5 -- at 525, the longest on the course -- and keeping the drive and approach to the right is key, because to ponds dominate the left side. Going for it in two is not an option because the green is one of the tightest on the course. The landing area off the tee is fair, so stick the driver in the bag and settle for par. The finishing hole is a 427-yard par 4 that requires an approach shot over the pond that fronts the green. A bomb off the tee might lead to nothing more than a short iron over the water, but it's a great closing hole for an underrated course. Don't plan your vacation around Rogers Park G.C., but check it out if you are in Tampa and don't feel like emptying your wallet for a day of golf. Most munis don't get a lot of respect, but the history and conditioning of Rogers Park make it worth an outing, especially if you are in Tampa to visit Busch Gardens.